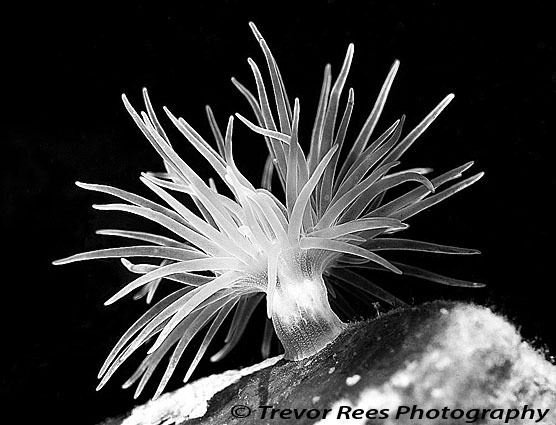 A sea loch anemone works well in monochrome as well as in colour. This pinky white anemone seemed to work well converted to monochrome. - voted the winning image at the Bristol Underwater Photography group (BUPG), monthly photo competition, where the theme was 'Anemones'. A colour version of the image features in the September 2010 edition of Dive magazine.